When telling an anecdote at a cocktail party, it is natural to embellish it to increase the entertainment value. 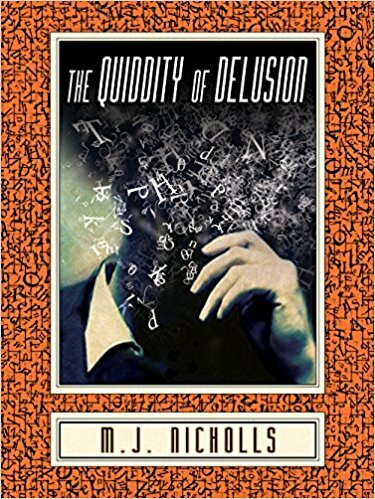 The narrator of this short story is trying to determine why he is not entertaining and further, why he is not believed. He decides to go a quest to find out what really happened during the incident described in his anecdote. I liked the narrator especially his insecurities. However, it takes a while to get used to his stream of consciousness style of thinking. It reminded me of James Joyce, where you have to spend some time unraveling the meaning in each sentence. Here is an example from the beginning of the book. I had always known one fact of the incident to be 100% true—a ball of some sort collided with my crotch and I experienced some of the most excruciating pain I would encounter until a basketball collided with my crotch in secondary school (an anecdote that can’t be told due to the unfounded accusation that the thrower—a ginger tomboy—was doing so out of spite, and the distinct possibility she remembers me, and the less plausible one that she might ever read this story and recognize a slanderous portrait of herself), and that my sister was in hysterics. When the narrator is speaking to someone, as he does throughout the second part of the story, he thankfully speaks in normal length sentences. Overall, I liked the plot of the story especially the resolution. If the length of the sentence shown above doesn’t disturb, then this short story would be good for those people who enjoy literary fiction with a sense of humor about life.